The Archt One is one of those rare products that comes along that surprises me. It is highly configurable and versatile wireless speaker that functions beautifully stand-alone, or with multiple units in stereo, surround sound, or whole home configuration. Up to 6 units can be connected to a single source at a time. However, I only tested one so that’s what I can speak for. 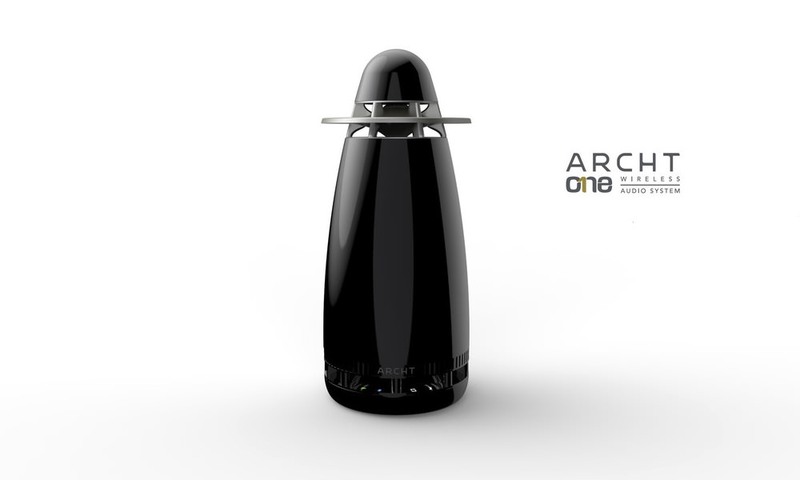 Before I delve into all the features, I can absolutely tell you that Archt One sounds better than any wireless speaker I’ve ever tested up to its $600 price-point. Music simply sounds better. Bass it musical and tight, while its quick pulsing mid-range gets good marks. Its high’s are detailed, but never overly bright. 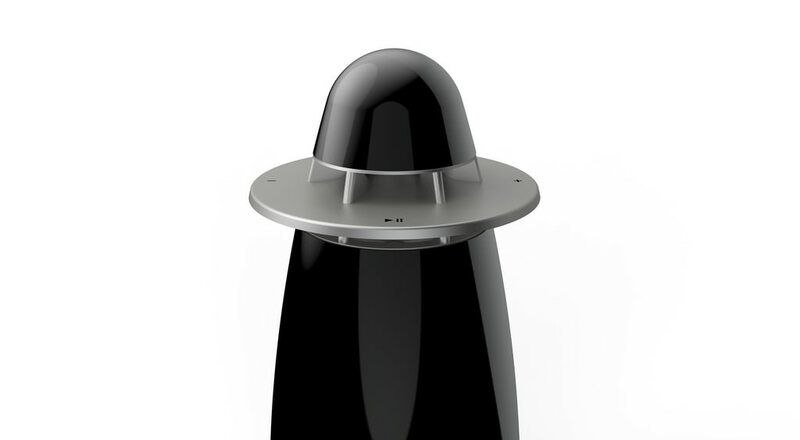 The sound is generated by uniquely designed upward and downward firing speaker drivers that provide 360-degree sound and allows it to sound good no matter where you place it. To get started you can just connect the speaker to Bluetooth, but you’ll miss out on all its glory. Even though Bluetooth remains the simplest setup, much better sound can be had with AirPlay (Wi-Fi) from Apple devices or even a direct USB connection. To get things going you’ll need to install the Archt One App (for iPhone or Android). The app is required for Wi-Fi (higher-fidelity) streaming and custom setup. 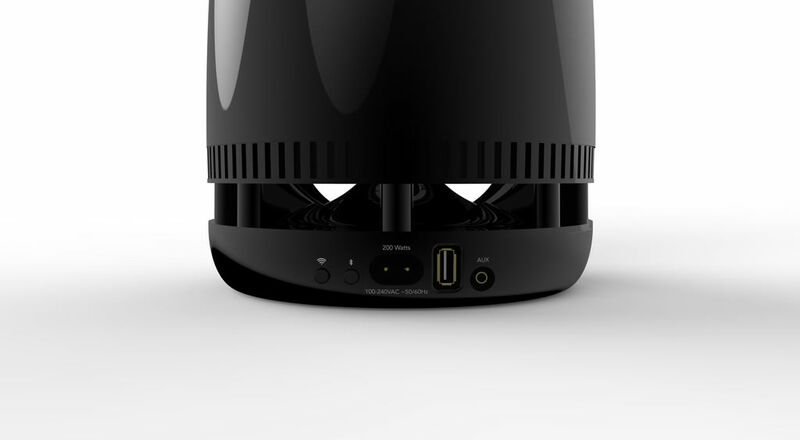 In about 30 seconds the app gets the speaker connected to your in-home Wi-Fi network. You don’t need any passwords, but you will need the iPhone charging cable — though I’m not sure why. Once paired, the iPhone will show a new connection option for AirPlay. The next thing to do is to run auto setup (room calibration) feature on the app. The iPhone then becomes a microphone, while the speaker emits a series a test tones. 2 minutes later your Archt One is magically calibrated to sound the best in your room. 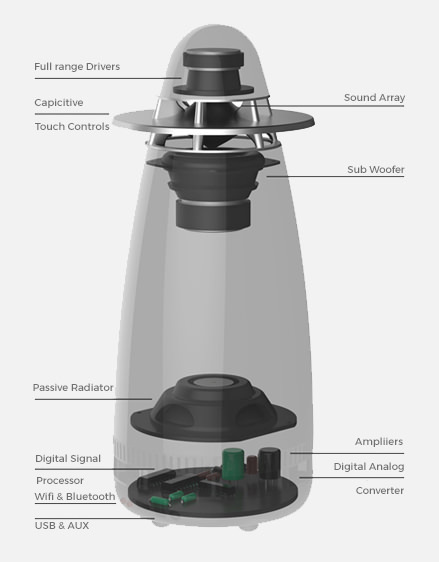 It’s truly amazing, and I believe will soon be a must-have feature for any home wireless speaker. The competing Sonos Play:5 recently launched with a similar room calibration feature called Trueplay. There are four buttons on the top disc for volume up/down, source select/power, and play/pause. Meanwhile the base (back) of the unit has buttons for Bluetooth and Wifi reset, along with inputs for USB and 3.5mm wired connections. It basically has every connection you might need, but you’ll probably only use one, which should be AirPlay. Once you hear the audible difference using AirPlay, you won’t want to use Bluetooth again. The front (bottom) has almost hidden indicator lights about which source is active, as shown below. 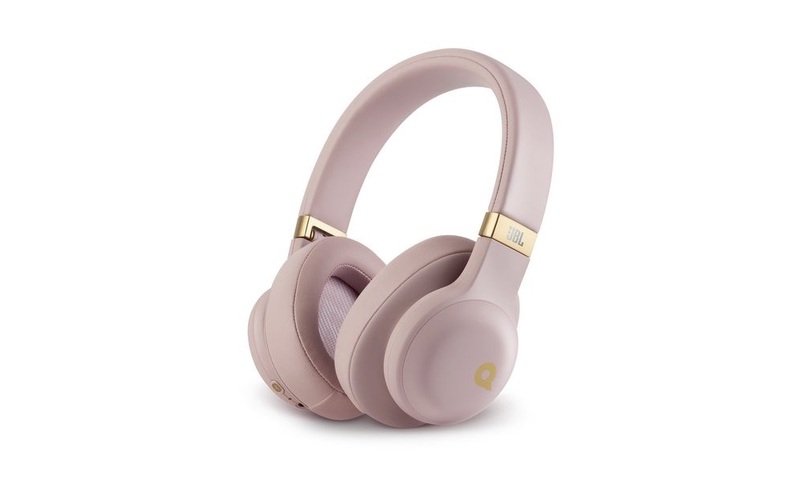 As much as I loved the sound quality and design, I didn’t find everything so perfect. My main frustrations were having to re-pair devices and the occasional audio drop-out when streaming with AirPlay (Wi-Fi). Then, there is an odd 5-second delay before music starts (the first time) over AirPlay. Subsequent play/pause/skips are seamless, but when you enter a room with a device that was out of range it wouldn’t automatically re-pair up as I would have expected. Begrudgingly, I would have to manually select AirPlay (or Bluetooth). Technically it should be possible, as I learned from my Fluance Fi30 review, which amazed me how fast it at re-paired. 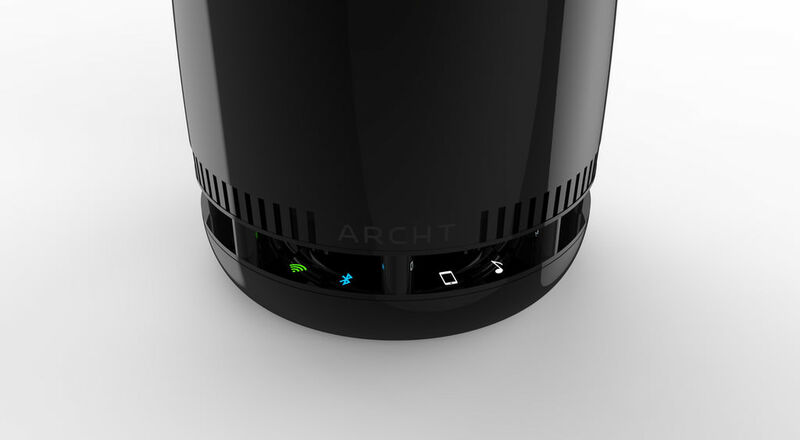 The Archt One began as kickstarter campaign with very lofty goals in October 2014. I believe the company has delivered an admirable 1.0 product, although buyers should know some things are a work in progress. The good news is the speaker and app keep getting better and the speaker is firmware upgradable. With each new update, the Archt One improves. So by the time you purchase it, some of these kinks could be worked out. If you’re willing to put up with a few usability issues, you will be pleasantly rewarded just how good a wireless speaker can sound. Plus, the expandability options are nice if you think you might add more speakers down the road. The bottom line is the Archt One is easily recommended!